This is the finest book I’ve ever read on this subject – Christian worldview. It deals with the following questions. What is a worldview? Does everyone have one? Why is a worldview important? What is a Christian worldview? How can one defend a Christian worldview in our secular society (this is particularly helpful)? How did we lose our way? How can we live it out? 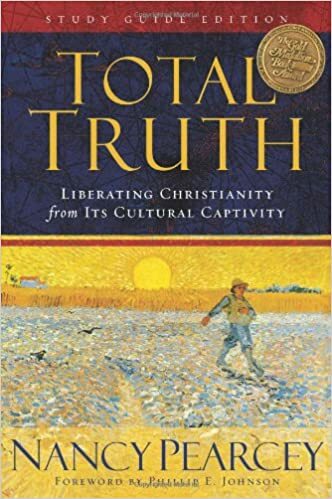 If you are a thinking Christian, you will enjoy this book. Nancy Pearcey makes hard concepts easy. She is an extremely talented writer who will hold your interest throughout.